11-3/4" deep by 1" thick shelves. Shelves adjust at 1-1/4” increments and support up to 90 lbs. 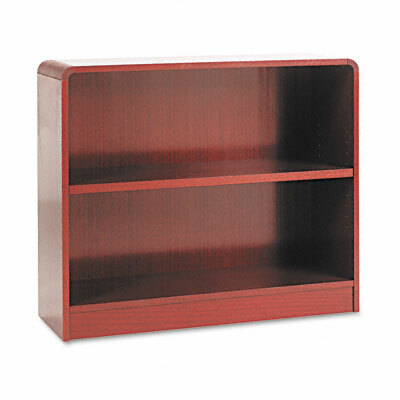 Wood veneer bookcase features a durable UV finish. One-piece matching veneer back panel adds a custom look. 3/4" thick, high-density particle board construction with dowel and cam-lock fasteners. 11-3/4" deep shelves adjust at 1-1/4" intervals and support up to 100 lbs. Shelf count includes bottom of bookcase. 36w x 12d.